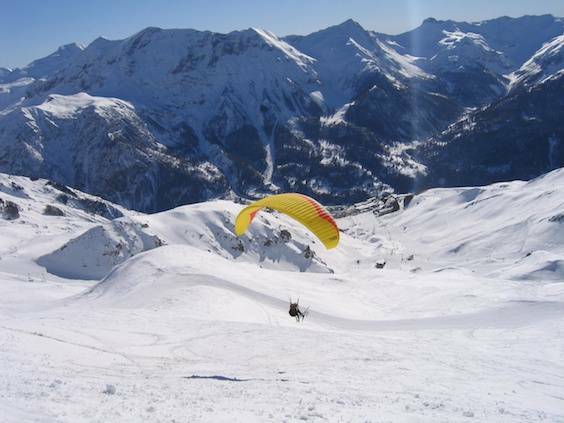 The Southern French Alps is a popular hotspot for paragliders and the winter is no exception. 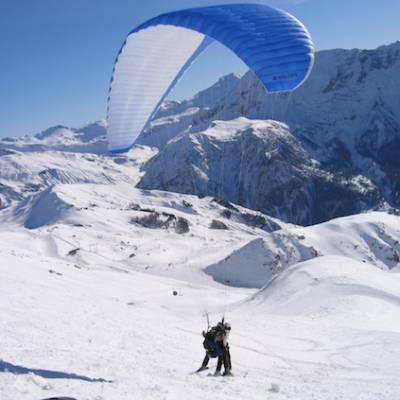 In most ski resorts, there are companies offering winter paragliding with a ski landing so you can fly high over the pistes and admire the beautiful Alps covered in snow! 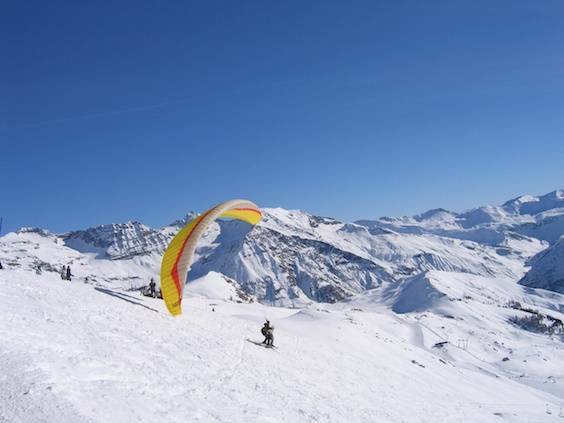 To do a paragliding tandem, you will get the ski lift up to the top of the mountain with your instructor. 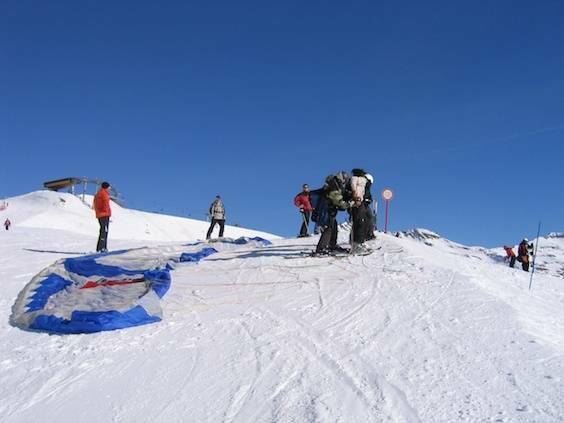 You will then ski to the launch area where you instructor will set up the parachute and explain what happens next. 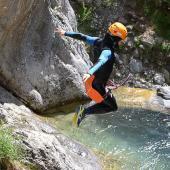 Once everything is set up, your instructor will attach you to the harness and to him and you will ski off the mountain together to be rewarded with marvellous views of the Alps. 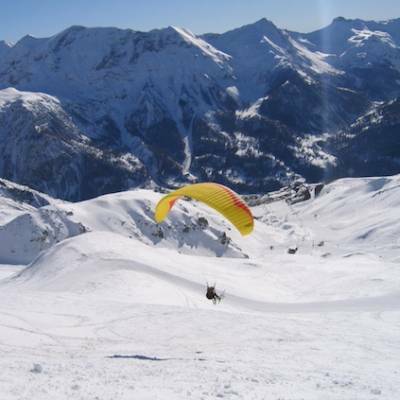 You will land at the bottom of the resort on your skis and have a gentle green piste to ski back to the lifts. 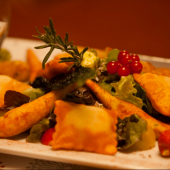 Easy-peasy! 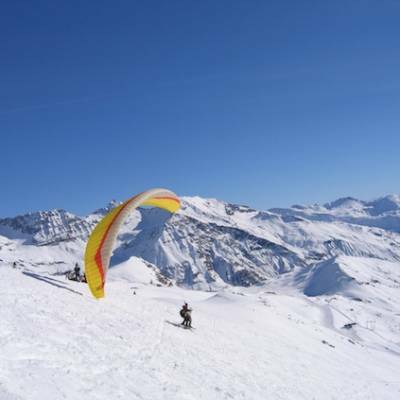 You don’t need to be an expert skier to do this as the instructor will land for you – you just need to be able to manage a green run on skis! 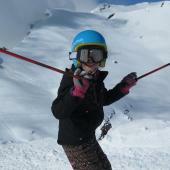 A scary ski off the mountain rewarded with fantastic views over the spectacular snowy Alps! 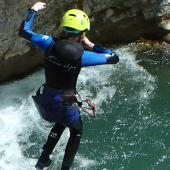 Minimum age for this activity is 8. 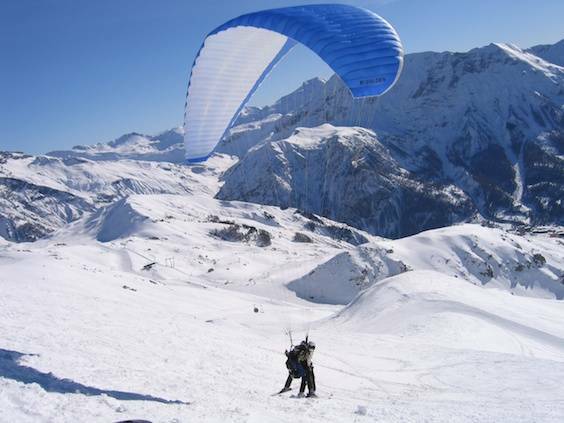 You don't need any previous experience or be a good skier to do a winter paragliding tandem - you just need to be able to stand upright on your skis and have a head for heights! 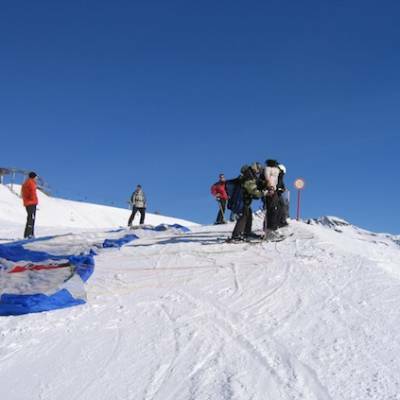 It is a blue piste to get to the launch and the instructor will do the landing.